OLD PARKED CARS. 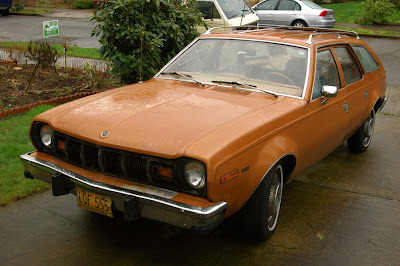 : 1975 AMC Hornet Wagon. Brilliant, brilliant find. Surprisingly sporty with that strong sloping backside, and the chrome trimmed little rear-side window really pops. 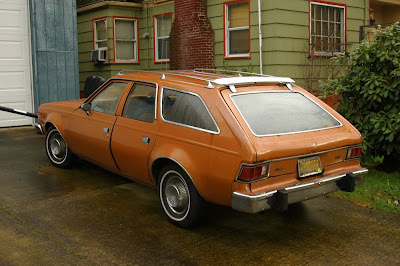 The spoiler and rack add a lot of style, especially to that rear profile. Right? Would be fun to compare to one with nothing on top. I wouldn't know whether to keep it stock or put some slotmags on it. That color is awesome. 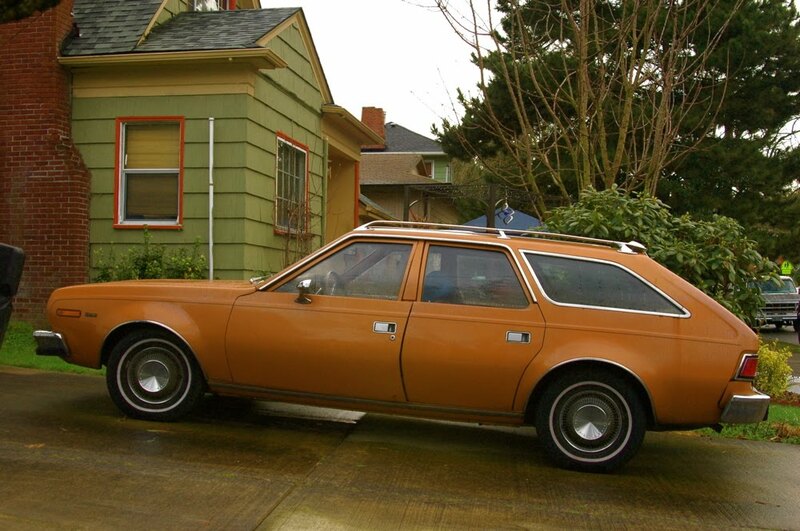 you can sure see where they chopped it off for the Gremlin! 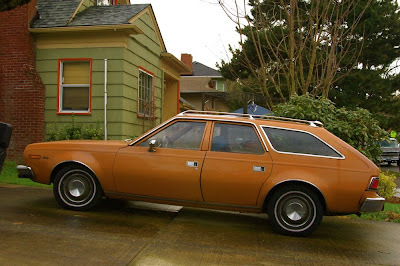 This is my father's car. How did you get pictures of it?